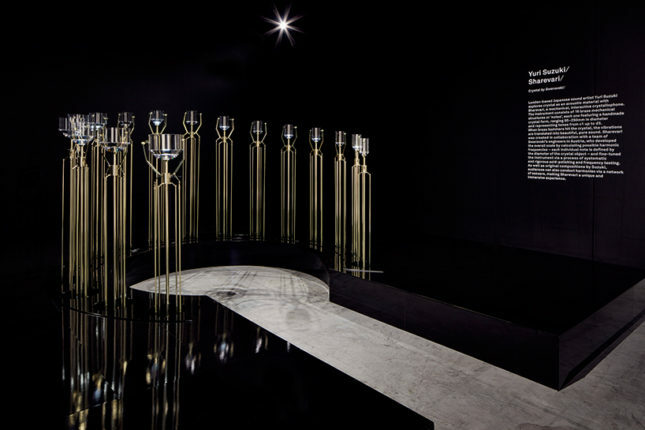 In a recent Swarovski-sponsored competition for Design Miami, designers were tasked with using crystal to contemplate the “quality of interaction between people and design.” The three winning projects—whose works are listed below—all have a unique take on crystalline design. 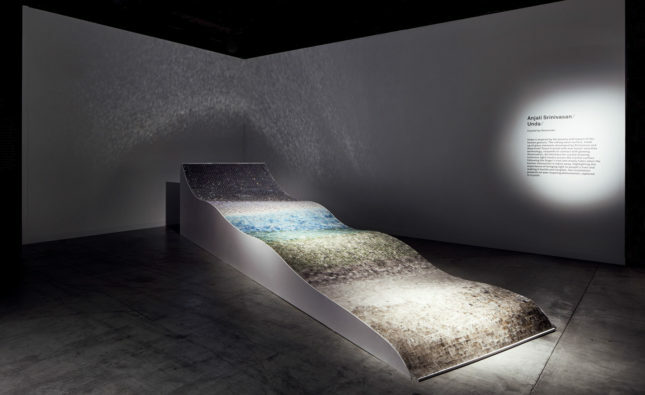 The first designer, Anjali Srinivasan, was inspired by “human gesture.” She created a wave of small crystals and glass pieces that are illuminated by touch-activated LEDs. The wave is 5.24 feet in width and 6 inches length. There are 5,000 glass pieces paired alongside 3,000 Swarovski crystals; 1,500 crystals can illuminate when touched. 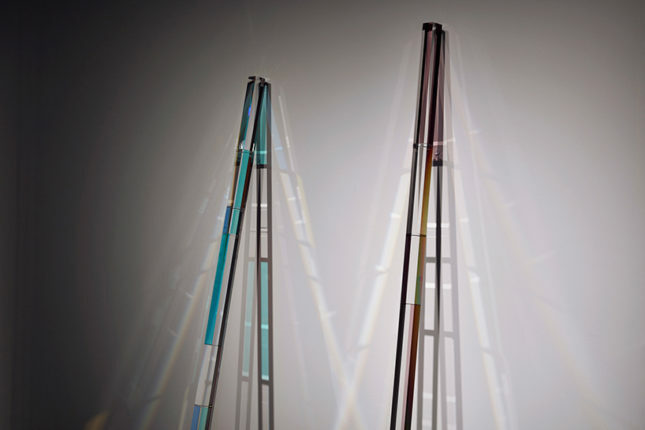 The second installation, by Studio Brynjar & Veronika, shows “natural light in conversation with crystal.” Several sticks made with crystal, along with other refractive surfaces, all interact with light to cast delicate shadows. The third installation is by sound artist Yuri Suzuki and it explores the acoustic qualities of crystals. Suzuki created a device that plays crystals of different sizes: by hitting them with metal, a pure resonant sound is created.